Recorded live at the Colos-Saal, Aschaffenburg, Germany, 10 February 2018: Intro/The Darkest Hour, Fading Senses, Leap of Faith, Came Down, Further Away, Out of Nowhere. 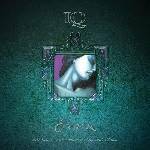 More information: ‘Ever’ the hugely popular IQ album that saw the return of Peter Nicholls to the fold in the early nineties is now 25 years young! To mark this occasion GEP are releasing a special ‘definitive’ 3 disc edition of the album with a 2018 remix by Mike Holmes.